Nathaniel Waring, retired from the luxury travel business which took him to almost 100 countries, now lives in Florianopolis, an island just off the southern coast of Brazil. Nathaniel loves to swim in the ocean and to inspire others to jump in and swim and not be afraid. 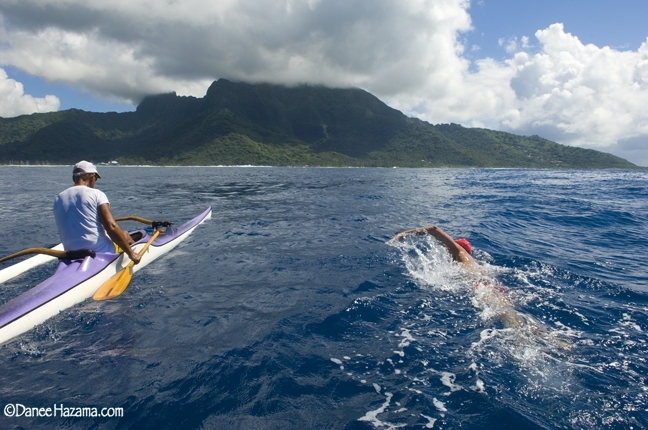 He swam the 12 mile crossing between Tahiti and Moorea and set a new course record. He has swum from Spain to Morocco, the 21 mile crossing from St Lucia to Martinique and sailed from the Marquesas to Hawaii and onto Fiji. Nathaniel is now in the tech start up world and works to combine tech with healthy living and to share his experiences through writing. Photo Credit: Danee Hazama, Swimming to Moorea. Florianopolis is a 437 square km island just off the southern coast of Brazil. Known locally as ‘a ilha da magia” it has 42 beaches, a calm continent facing side and big wave Atlantic coast. This is a view of Ilha do Campeche from Novo Campeche beach.